Lancaster, CA- MGS Custom Bikes is proud to announce that for a limited time, you can buy their new Stage 1 Performance Package at a special intro price for only $1,089.00! Most exhaust systems cost that much, but at MGS Custom Bikes, you’ll get a set of their True Dual high performance exhausts as well as a programmable tuner and high velocity air intake. MGS True Duals exhaust systems come complete with head pipe, heat shield, muffler, baffles, all mounting hardware, choice of tips (chrome extra) and two threaded o2 sensor ports with plugs for complete universal fitment of ALL 1995 to 2013 Harley-Davidson FL Touring models. Made of 16-gauge steel, stepped head pipes, full-coverage heat shields and massive 4-inch mufflers with a billet tip that produces a deep, rich rumble, this exhaust has been Dyno-developed by MGS to produce more horsepower and torque than the competition. In most cases a 15% gain at the rear wheel and an average increase of 12+ foot pounds of torque were enjoyed on a stock FL model Harley-Davidson. Better results have been achieved, but are not ordinary. These new True Duals are available in black ceramic or chrome with your choice of three different style tips. This Stage I kit also includes a Dyno Jet Fuel Tuner to help ensure optimum engine efficiency. 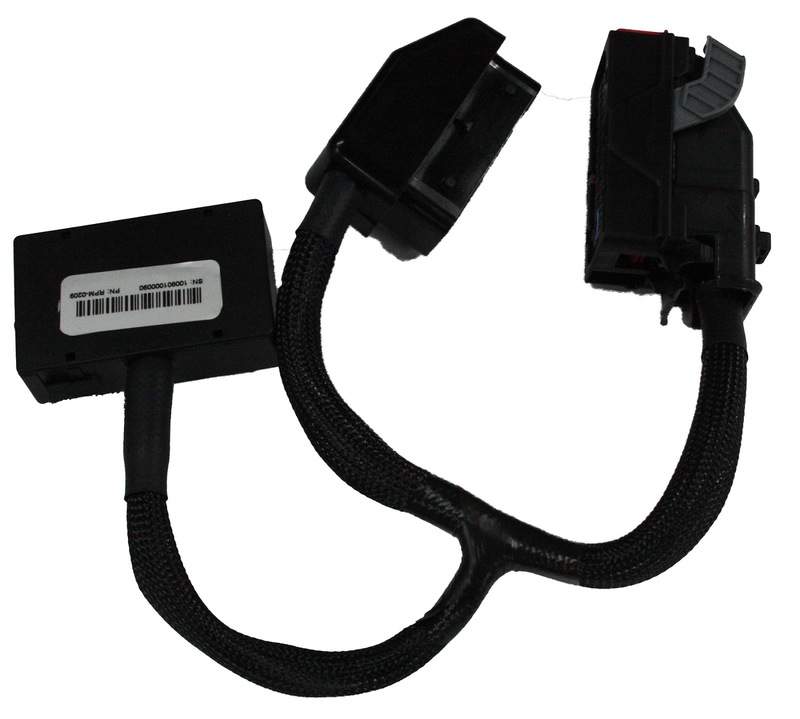 This Tuner features a powerful range of fuel adjustments, it allows for individual cylinder tuning, the ability to download Power Commander V maps, and it will store ten maps which can be switched right on the Tuner unit. • The software allows you to easily pinpoint the specific area you want to adjust. Lastly, the Stage I performance kit includes The Big Sucker, a high velocity air intake manufactured by Arlen Ness. 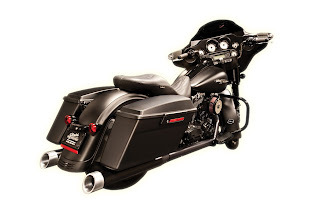 For more than a decade Arlen Ness has led the air cleaner market with their patented Big Sucker™. Put all three products on your ride and you have one fire breathing horsepower building engine due to your new bolt on modifications. For those interested in obtaining more information on MGS Custom Bikes, you can reach them at 661-951-9878, call Chris Stafford directly at 661-750-2424, email them at sales@MGSCustomBikes.com or check them out online at www.MGSCustomBikes.com.